In Santa Cruz, the only place to go for European auto repair needs, since 1991 is Nate Smith Optimal Auto Care. The European auto repair experts at our auto specialty shop are recognized as the most qualified Auto Repair professionals in Santa Cruz and the surrounding areas. 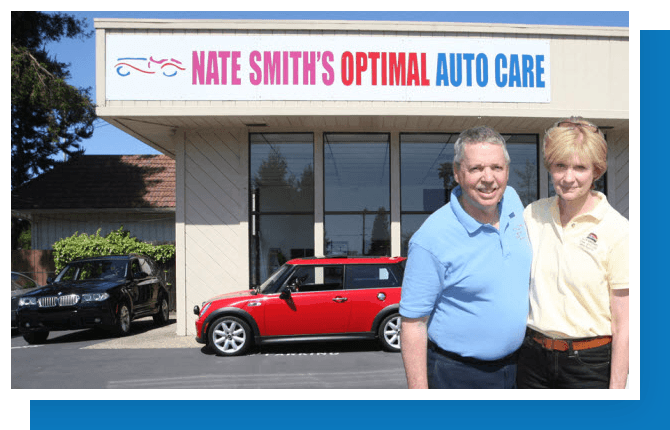 As the most respected BMW Repair shop in Santa Cruz, the experienced European auto repair specialists at Nate Smith Optimal Auto Care take their efforts very seriously. At Nate Smith Optimal Auto Care, we have very strict training requirements for all of our experienced European auto repair experts. The European auto repair mechanics at Nate Smith Optimal Auto Care have completed comprehensive Audi Repair and BMW Repair training. Our mechanics are regarded as the most dependable BMW Service experts in Santa Cruz for over 22 years. We are known for BMW Service service, and our reputation was built on specialties like Audi Service. 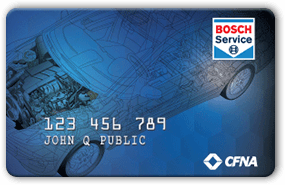 We offer the exclusive Bosch Service credit card. Apply today for great benefits! "The service at Optimal Auto is always first-rate and professional. I've trusted Nate with my BMW(s) for 18 years now -- he's saved me plenty of $$ and kept everything running smoothly! Bring your car in for Nate and his crew to care for, and see for yourself!" "Thanks Nate and company, excellent service. Thanks again to Mark for coming off his job to work on my intermittent problem that was occurring when I pulled in. Excellence in communication and diagnostic work,..much appreciated! Aaron D."
"I was very pleased with the service I received and also the explanations I received about why the work needed to be done. I also appreciated the breakdown of labor vs materials costs. I'll definitely use them again!" "I've been going to Optimal Auto for as long as I can remember. Nate and crew are great people, who treat you fairly and honestly. They dont recommend work that isnt necessary and they do what they say they are going to do. What more can you ask for from your Auto Repair provider?" "I have consistently been pleased with the workmanship at Nate's. Not only is the workmanship of the highest quality, but the service at the desk is personal and informative. Speaking with the service reps is like talking with family. I never hesitate in the decision to take my car to Nate's."